Cheers to Beers that Help Make a Difference! Enjoy our Top 5 Sustainable Beers that focus on their mission, giving back and sustainability just as much as creating a delicious brew. What are you waiting for? Go Enjoy Life Outdoors at your upcoming tailgate! New Belgium Brewing is simple, sustainable, good beer. They divert 99.9% of their waste from the landfill and are a Platinum certified Zero Waste Business. "New Belgium’s commitment to producing world class beers, environmental stewardship and social responsibility are laid out in its core values and beliefs: Environmental stewardship: minimizing resource consumption, maximizing energy efficiency and recycling, kindling social, environmental and cultural change as business role model, having fun, and much more. Bison Brewing is more than just beer, it's a movement. This company has two core values: enjoying the solitude of the outdoors and the company of friends. This 100% Organic beer is a must-have for Gameday. "Employees at Bison self select themselves for two core values. First, they must enjoy both the solitude of the outdoors and the company of friends, and recognize that well made food and beverages bring pleasure into everyday life. Second, they must give back to the community in a company supported projects like raising money for the Humane Society or growing hops locally at community gardens." 3. 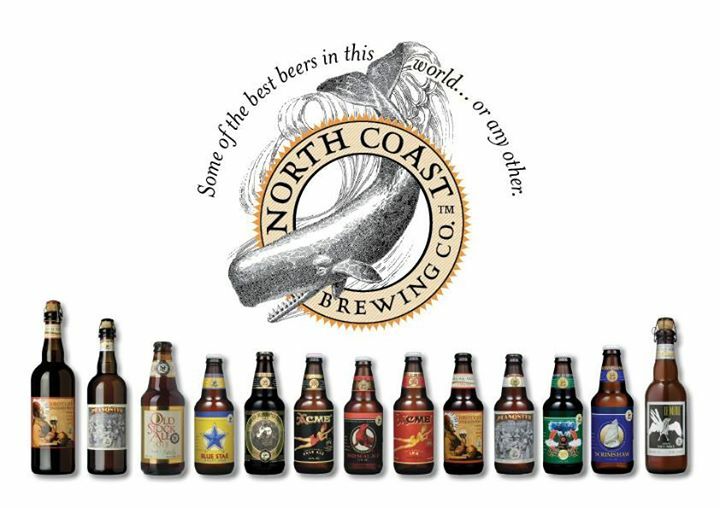 North Coast Brewing Co.
A pioneer in craft beer, North Coast Brewing Company is committed to doing the right thing for their community, employees, customers, and the planet. They use renewable energy from their 83 kW on-site solar array and are committed to Doing Others Good. "We believe that business can be a force for good in the world and our commitment to sustainability is built into everything that we do. B Corp Certification and its rigorous set of standards recognizes our longstanding commitment to doing the right thing for our community, our employees, our customers, and the planet." Rooted in Eastern North Carolina, this Brewing Company shows their love for the land in everything they do. With a Gold certification in the LEED® program, Mother Earth Brewing is proud to be the first production brewery in the country to achieve the Gold rating -- the highest rating ever attained by a brewery and the second highest rating possible. Full Sail Brewing Company is committed to sustainability in their water conservation, efficient brewhouse and community. Get your hands on this beer and do good for the planet. "While average breweries use 6 to 8 gallons of water to make a gallon of beer, we’ve reduced our consumption to less than 3 gallons. Also, We purchase 140 blocks of Blue Sky wind power every month. Annually, this reduces carbon dioxide emissions by 168 tons, which has the environmental benefit of not driving 2,900 round trips to Portland from Hood River, or the equivalent of planting 33,000 trees."